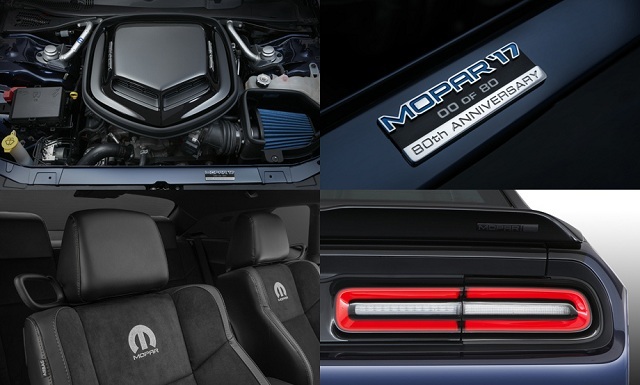 Mopar tuners have presented Dodge Challenger modification - Drive Dodge - Drive Sport! The novelty is not the most powerful in the Dodge’s lineup; nevertheless, it received some SRT Hellcat variations. This is about the Air Catcher intake in the left headlight, which directs the flow to the new cold intake (the filter is isolated from the motor compartment and the hot air does not fall into it). The tuners have also provided the car by 4-pistons Brembo calipers and 20-inch wheels. 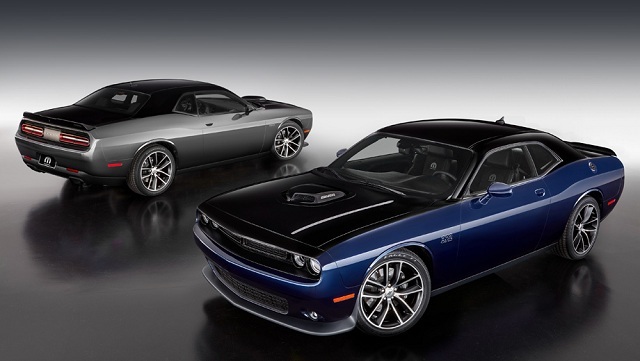 Mopar studio proposes some new design elements for the Challenger model available in Shaker Hood package. Thus, the Hellcat version shared the black exhaust pipes with the novelty. The spoiler has got an original Pitch Black and a Mopar logo. The designers painted the new Coupe by hand; number 3 in Mopar 392 logo looks also unusual with the form of reverse Mopar badge. The tuning version will be manufactured in two colors: 80 copies in Contusion Blue / Pitch Black and 80 copies in Billet Silver / Pitch Black.